Most Android users rightly complain about the lack of proper software support and frequent updates. While most flagship models get new features and shielding against vulnerabilities for two to three years, lower-end models barely receive updates and in order to ease the problem, Google had introduced Project Treble last year that allows fragmentation of the various components of the Android framework for faster updates. Now, thanks to the intrepid decelopers on XDA, OnePlus 5T and OnePlus 5 have received Project Treble support unofficially. OnePlus, during a Reddit AMA session in November last year, had said that bringing official Treble support for the existing range of devices, including the then recently released OnePlus 5T, would be a complex task as the smartphones lacked a dedicated vendor partition and repartitioning over OTA comes with the risk of bricking the devices. Developer XiNGRZ, who is a member of the Mokee ROM development team, has explained how to add Project Treble support to OnePlus 5T and 5 smartphones. The developer made use of a hidden 1.5GB unused partition as a make-shift solution to create a vendor partition. To make it easier for non developers to use this method, XiNGRZ also created flashable zip files that contain automatic scripts to add support for Project Treble. 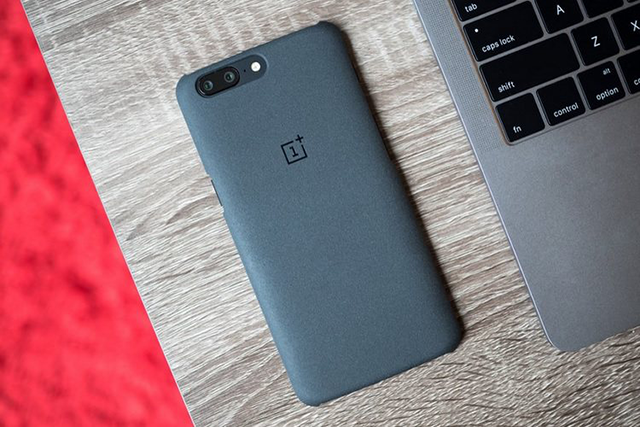 Users must flash the latest build of the Mokee ROM for OnePlus 5T (download here) or OnePlus 5 (download here) using TWRP or ADB. For a complete flashing guide, you can visit this post by the developer himself. (Stop right away if you do not know what the heck is flashing a zip!). On top of the custom ROM, you can choose to add the appearance and features of another popular ROM you prefer such as pure AOSP, LineageOS, or Resurrection Remix etc. by flashing Generic System Image (GSI) for the ROM. This can be accomplished via Project Treble and a complete guide for flashing GSIs can be found here. Although the addition of Project Treble is a big step, it doesn’t necessarily benefit OnePlus 5T and 5 owners all that much since there already is plenty of support from the developer community for the devices. But, just in case you want to play around with new features without having to go through flashing multiple ROMs, it is a great way of fostering your inner geek. Do keep in mind that getting the steps wrong or installing the wrong files can brick your device, so it’s not advisable to flash ROMs, unless you have someone at hand to rescue your phone.